Nails + Meditation RENOVATION UNDERWAY! 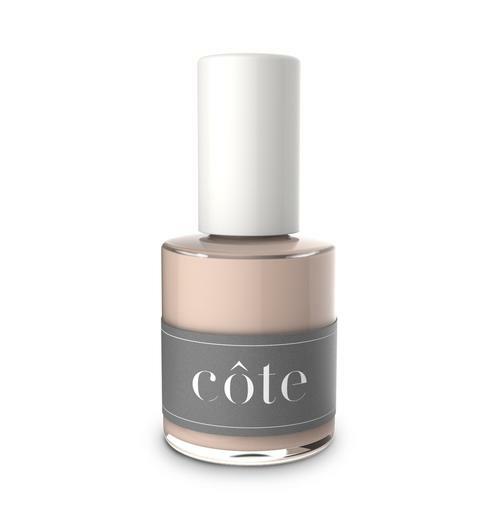 our signature côte formulas are cruelty-free, vegan and free of the major toxins associated with nail polish: formaldehyde, dibutyl phthalate (DBP), toluene, camphor, formaldehyde resin and triphenyl phosphate (TPHP), making our products the cleanest, safest nail polish available. At Grounded we focus not only on the body, but the mind as well; helping others feel their best. This concept helped us create a new type of service; one we would like to introduce to you; nail care + meditation. Come decompress in our new uber quiet nail + meditation lounge. We offer organic, non-toxic, vegan product lines while you focus on quieting your mind through the practice of meditation. our new healing crystal pedi treatment is cleansing and restorative from start to finish. begin with a relaxing soak with rose quartz stones in water softened with 100% organic argan oil and rose-quartz crystal sea soak, followed by an exfoliating massage with our liquid luxxe sugar scrub. next, enjoy a relaxing peppermint mask treatment with heated slippers, and a heavenly crystal stone massage using the power of labradorite to relieve stress and blue calcite to gently dissolve pain on all levels. this new service finishes with a fresh coat of our exclusive 10 toxin-free nail color, and a thoughtful layer of spf protection to make sure you’re beach fabulous and sunshine ready. rose quartz - strengthens the heart and circulatory system and releases impurities from body fluids. labradorite - relieves stress and regulates metabolism, balances hormones and lowers blood pressure. blue calcite- a gentle stone used for recuperation and relaxation, dissolves pain on all levels. great for soothing the nerves, lifting anxieties and releases negative emotions. calms the mind and boosts energy. Mini Manicure or Mini Pedicure. Includes a hand or foot soak, shaping and your choice of non- toxic nail polish or natural shiny buff for your little one. *No massage included. A manicure and pedicure created especially for little ones. Includes a hand and foot soak, nail trimming and shaping, massage and your choice of non-toxic nail polish color or natural shiny buff. Our anti-aging hand treatment includes a hot towel exfoliation, organic hand serum, and ten minutes in heated mitts while you listen to guided meditation. Our Osea Gigartina seaweed hand serum reverses sun damage, protects against free radicals and leaves your skin feeling hydrated and protected. choose a classic french white tip or any color from our côte line to add a splash of color! we all struggle finding time for ourselves, so we have helped create some quiet time for you to disconnect while we care for your hands and feet; always complimentary and over 40 meditations to choose from. Includes a cleansing of the nail bed, meticulous shaping, buff and your choice of polish followed by an application of our 100% organic argan oil to the cuticles. Viola! foot reflex sessions are nice to add onto any service. a nice treatment to add on pre-pedicure. Eve uses heated bamboo sticks to roll and press on reflexology points as well as rolling out muscles on the soles of the feet; relaxing indeed.